- Made to be reused! Just wash after each use. 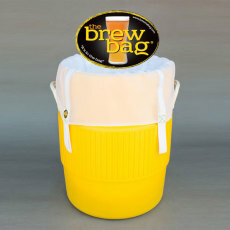 - Can hold up to 100 lbs. of Grain! 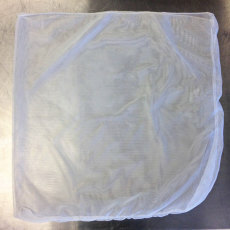 Large Mesh Straining Bag 24" x 26"
Mesh straining bag that is great for Brew in a Bag (BIAB). 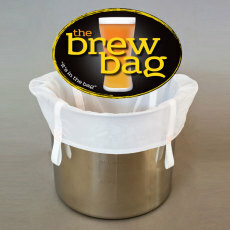 A big mesh bag for brew-in-a-bag brewing, complete with handles for ease of use! 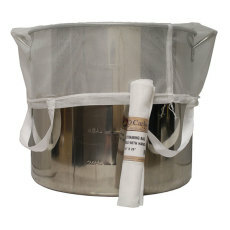 Built specifically for 32-42 quart kettles. 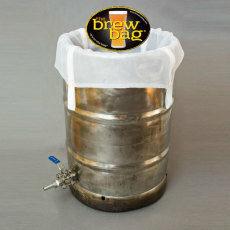 Can also be used with a 5 gallon cooler. Made to be reused! Just wash after each use. Can hold up to 100 lbs. of Grain!